Young Scientists Award! 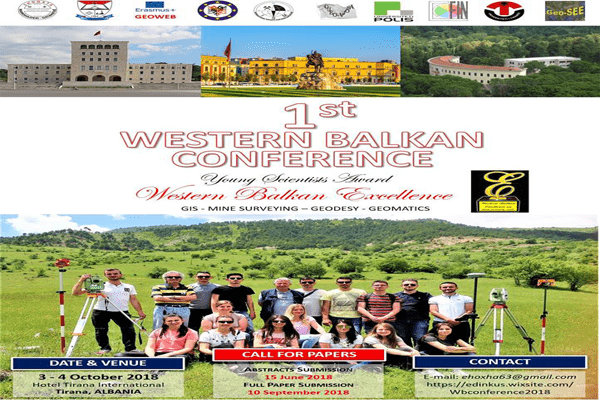 The 1st Western Balkan Conference in Tirana, Albania, from 3-4 October 2018. This Conference brings together researchers, experts, scientists and speakers, institutions to discuss on GIS, Mine Surveying, Geodesy and Gjeomagnetizmin.